Title Tag : Make 70 characters long title tag. Every page of site have Title according to your target keywords. Make good and meaningful title, so that can attract visitors. Meta Tag Description : Make 150 characters long meta tag description according to Google. If you have more keywords and you could not use in Title then you can use it in description. Description show on SERP, So, make attractive description so that visitor can make click on your website. Meta Tag Keywords : If you are targeting 5 – 7 keywords for one web page and you have used in Title and Description then You can add more then 10 keywords in meta tag keywords. Heading Tags : Use keywords in heading tag. Use only one time H1 and can use H2 and H3 how much you want. ALT Tags : Search engine don’t read image, if you will add ALT tag then search engine read, so, you must add ALT tag in every image of your site with your targeted keywords. Title Tags in Anchor Text : Make anchor text in page where your keywords has been used in content but don’t forget to add Title tag in every Anchor text. Keyword in Image File Name : If you add image in your site so, keep keywords of image. like site logo image name should be your targeted your or your brand name. Keyword in Page URL : If you could not register domain with your main keyword name even if with your regional extension then When you create page, use your targeted keywords in page, example, your keyword is Online Marketing Blog, create page like www.yoursitename.com/online-marketing-blog. Sitemap HTML/XML : Create HTMl and XML site map and upload it on root directory. Robot.txt File : If you want to block any page of your site and if you use duplicate content and don’t wanna index by search engine then you can block it using robot.txt file. After create this file upload it on your root directory. Everyone, at one point in time has looked up certain keywords and key phrases on Google web pages and a few other distinguished search engines. Ever wondered how these pages earn top search engine ranking or even understand from a single keyword or key phrase what it needs to look for? This important process of Google ranking system and looking up webpage’s according to keywords and key phrases entered is called On-page SEO. Basic SEO strategies involve the on-page optimization process where every individual web page elements are structured and established. This helps search engines like Google, rank and lookup pages according to the keyword or key phrase entered by the user. These simple SEO techniques allows search engine know of every content there is on a webpage. The process of SEO strategy and Google ranking, which when done right helps increase website traffic involves 6 different on-page optimization components. Most search engine optimization companies are aware of these components. These SEO strategies are used to increase the visibility of web pages in search engines, which also gives rise to the Google rank system. Generally the search engines follow a certain algorithm to look up webpage’s according to the keyword or key phrase entered, and these algorithms have remained constant. Unless these change, the general components needed for internet marketing SEO will continue to remain the same. Or simply known as content title, it is the most important content in search engine optimization SEO. An ideal content title should be around 60-70 characters, beginning with the main key phrase while the end should hold the branded element. It is important to add unique titles to your content, as it acts as a juicy bite into what the content holds, but should also be different from other similar content on the internet. Unique content will also bring in clicks from your target niche rather than sharing it with your competitors with similar titles. For some, understanding this component could be a bit complicated. However in simple terms, meta tags are nothing but mediators that hold information about your web page and delivers it to every search engine there is. When search engines look up your webpage (also known as crawling) for mini themes, they are in fact coded to look for details on the kind of information your web page holds. Without a meta tag, the search engine will fail to recognize the core of your web page. Meta tag descriptions should therefore be comprehensive which will in turn help search engines understand your page. This is again organic SEO that helps in increasing your web traffic, provided these meta tags are detailed. SEO techniques followed by most companies are simple, they are not interested in mumbo jumbo and web pages that are full of mixed content with no apparent theme to it. What Search engine optimization companies prefer is simple webpage’s that talk about a singular topic, which again forms the main heading of the web page. We are already aware that every body of content and text requires a header that is appropriately highlighted. A short and sweet header that gives enough insight into the material of your webpage should be held within the ‘h1 tag’, which is nothing but syntax needed to code content into webpage’s. The importance of these tags is stupendous, since this is what search engines love looking at. Another criterion of a well highlighted heading is that it should be higher than the body or even introduction of your web page text, but within the web page ‘h1 tag’. Search engine crawlers find it easier accessing your text headers if done so, hence make sure that it also contains the main keyword. This component is the prime reason for increase in website traffic. Understanding and utilizing this on-page SEO optimization will also earn your website a high Google web page rank. Web site traffic and search engine crawlers are hungry for content and information on the internet. A page copy that is rich in primary as well as secondary keywords and key phrases, along with being unique and informative will earn any web page good visibility irrespective of the search engine. The idea is to create content that is not just tantalizing but has the right mix of richly texted keywords. Although HTML is preferred for search engine optimization, page copy can be news releases, blogs, user generated content and even articles. Adding related videos and images adds to the experience and worthiness of the content. An ideal page copy would have your primary keywords and key phrases dispersed liberally in the introductory part of your content (which is in the beginning). This allows search engines to decipher the theme/topic that the rest of your web page contains. Again, it is vital that content is unique and not a copy from your competitors website, this will only drain its purpose and that is to increase website traffic. 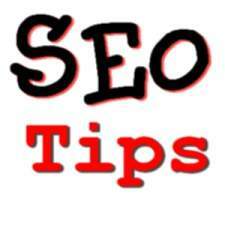 Search engine optimized SEO pages generally carry a minimum of 150-200 words in a page. If you want your webpage to do even better then settle for 400-600 words per page. The number of words incorporated in your webpage is important as well since it determines your keyword density which in turn also gives appropriate information about your page to every search engine there is. Until recent times, not much importance was given to a page URL. Now it has become increasingly necessary for URL’s that are search engine friendly which is the best component in on-page SEO optimization. A good SEO strategy in this case would be that you keep your ULR relevant to your content, easy enough for even a novice to remember and as short as possible. A URL with the least dynamic parameters will work wonders towards increasing website traffic. If given a chance to re-write your URL make sure to clean it up as much as possible. Search engines are known to index dynamic URL strings, and at the same time a short enough but descriptive URL will work well with every user. The internet would be redundant if there were no links between webpage’s, websites and lots more. If you want your SEO techniques to succeed and at the same time increase web traffic to your webpage, make sure there are enough of rich keyword anchor text that will interlink your site pages. Search engine algorithms use anchor texts to determine Inbound Linking Quality of links on any given page. Obviously this is an important key that helps in Google ranks and other search engine ranks. As mentioned if your webpage enjoys a good set of interlinks you automatically increase website traffic to your webpage. With good number of quality interlinks, internet surfers are automatically directed to your webpage’s and this in turn increases the webpage’s ranks on Google or any other search engine you are familiar with. With dynamic interlinks users can reach parts of your website and make a note of the information they were interested in. There are many factors that contribute to showing up well in search engine results. Before doing anything with On-Page Optimization (or any other SEO for that fact) you first have to choose the right keywords for your site. Titles are very important to on-page optimization. The titles show up at the top of the browser and are often used by search engines as the title in search engine results. The title is a good place for keywords. Make the title direct, to the point and ensure that all the pages on your site have their own unique titles. For example, a page about PVC pipes on a plumbing site could have a title of “Cheap PVC Plumbing Pipes | Joes Plumbing Supplies” (I had to use Joe the Plumber as an example, couldn’t help myself). Notice that with one long keyword term many targeted words are included. By using this keyword phrase a search engine is likely to serve this page when people search for PVC pipes, cheap PVC pipes, cheap plumbing, cheap plumbing pipes, cheap plumbing supplies etc. Often when sites are designed using a Content Management System (CMS), the URLs on deeper pages look like you just spilled a cup of alphabet soup on your desk. Sometimes these URL’s are dynamic so they change every time you visit the page, making it a huge problem for the bots to properly index the pages. Unfortunately the URLs also have nothing to do with your targeted keywords unless you want to show up for po=J0ro57v. Many CMSs have modifications that can be added to make URLs search engine friendly. For example: www.joesplumbingsupplies.com/products/pvc_pipes is a URL that is Search Engine Friendly, because it is short, descriptive, and includes relevant keywords. The meta description shows up in the code of the page. Make sure each page on your site has it’s own unique meta description tag. The meta description is often used to describe the page in the search engine results after listing the page title. Having a relevant meta description increases the chances that people will click on your listing. It can also be used to include a phone number or some other call to action. Often times when people do on-site optimization they overlook placing Alt attributes on pictures. By properly describing the pictures on a site the search engines will see that even the pictures are relevant to the keywords. By doing this you are also more likely to show up in the results when people search for images. The last point is one of the most important. Whether you have content to sell your products or your product is the content it’s important to have enough relevant content all your pages. Make sure the entire page reads smoothly and is understandable because humans buy products not search engine bots. It’s good to link out to other sites as long as they are relevant. Be careful of having too many outbound links on any one page of a site. Many people have the misconception that you build a website and then kick back and watch the money roll in. Building a website is a job that is truly never done. You should always be updating and modifying information on your sites. If you want people coming back to your site you have to give them something to come back for. By adding new content to a site you also improve your chance of ranking well in Google. Regular updates will help your site get indexed faster. Search engines will see frequently updated sites as up to date, accurate and relevant. On-site Optimization should be the first thing you do after determining your keywords. If you follow these simple guidelines you will find that you will rank much better in search engines.